Hungary is located in central Europe, in the Carpathian Basin. Half of the country's territory is flat. The Great Hungarian Plain occupies the entire eastern part of the country. The Hungarian "puszta" is a favourite tourist destination where the characteristic animals and ethnographic traditions can be seen, like in the Hortobágy National Park (Hortobágy) and in the Kiskunság National Park (Bugac, Apajpuszta, Lajosmizse) where the horse shows are held. The other, western side of the Danube called Transdanubia is undulating terrain featuring central Europe's warmest and largest lake, the Balaton and mountains of medium height stretches across the country. Lake Balaton is ideal for sailing or sunbathing. Near by is the famous spa town of Hévíz, where you can wallow in a natural thermal lake even in the depths of winter. West of the Danube, the Transdanubian Range is 400-700 metres high, divided into the Keszthely Hills, the Bakony, Mecsek, Kőszeg-Sopron, Vértes, Gerecse, Pilis and Visegrád Mountains. To the east of the Danube, the Northern Range rises to heights of 500-1000 metres, divided into the Börzsöny, Cserhát, Mátra, Bükk, Cserehát and Zemplén mountains. The highest point is the Kékes (1,014 m) in the Mátra. The two most important rivers, the Danube (Hungarian stretch: 417 km) and the Tisza (598 km) cut across the country from north to south. After Iceland, Hungary has the world's largest reserve of surface thermal water: hundreds of springs help thousands in recovering. Hungary’s springs have supported a bathing culture dating back to Roman times; whether you’re after relaxation, refreshment, rejuvenation or recovery, Hungary can’t fail to meet your needs. Its thermal water stock is significant even on the global level, and it is unique in Europe. 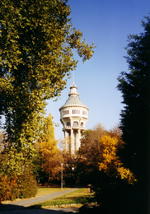 At the moment, Hungary has more than 1 000 wells producing thermal water over 30 °C. Lake Balaton is Central Europe's warmest and largest lake. Its marvellous peninsula, devides the lake into two. It is a pearl of not only the region or the country but also of Europe. It is a jewel in the middle of the Hungarian sea. The surface of the vulcanic peninsula is covered by limestone geysers. A number of rare animals and plants can be found here, thanks to the unique climate. This resulted in the declaration of National park in 1952 – the first of its kind in Hungary. Tihany has a great number of attractions not only in nature but also in history and atmosphere. One of Tihany’s most famous phenomena was the Echo. It existed since the 18th century, when the Tihany Abbey was built. Standing on the Echo hill, the shouted words were reverberated from the Abbey’s wall which is to be found 300 meters far. The voice covered the almost 700 meters distance there and back in 2 seconds. In optimal case 7 echos could be heard. Unfortunately we can not enjoy this special phenomena anymore, because of the changed environment. Hungary has a temperate climate with three climatic zones so there is a certain amount of variations across the country: Mediterranean in the south, Continental in the east and Atlantic in the west. July and August are the hottest months (average temperature 26°C) and January the coldest (-4°C). The number of hours of sunshine averages between 1900 and 2500 a year - among the highest in Europe. The average annual precipitation is about 650 mm. Hungary is located at almost equal distance of the Equator and the North pole, in the middle of temperate zone. Hungarians, who call themselves Magyars, speak a language and form a culture unlike any other in the region. The Hungarian language is spoken only by Hungarians, and the Hungarian folk songs are special. Magyar is a Uralic language and ranked 62 according to number of native speakers (14 million). The most popular foreign language is English among young people. Elder people speak German that reflects the Austro-Hungarian connections back to centuries. The Hungarians have been living in the middle of Europe for over 1100 years. Hungarians give their family name first, thus Kovács Ádam is Ádam Kovács. The letters "né" at the end of a name indicate a married woman; thus Kovácsné is Mrs. Kovács. The natural, cultural and historical riches to be experienced in Hungary are reflected in its high concentration of UNESCO World Heritage Sites. 1 November (All Saints' Day). Territory: 525 km2, two-thirds on the eastern, flat bank of the Danube in Pest, one-third on the western, hilly bank of the Danube in Buda. Population: 1 702 000 persons, that is 17% of the total population. Administration: divided into 23 districts (the Roman numerals in addresses refer to the district). One of the world's most pleasantly sited cities, Budapest is divided into two distinct parts by the River Danube, into hilly Buda and flat Pest. Its panorama along the banks of the river is one of UNESCO's world heritage sites. Buda, lying on the right bank, is famous for its past, while Pest on the other side has a more modern character, culture, life and energy pulsate in every corner of its streets. Buda and Pest are connected with spectacular bridges, there are nine bridges, two of which carry railway lines. At night, the lights on the monuments and bridges gleam in the dark like jewels. Budapest, the capital city with its unique situation, incomparable architectural and cultural values is undoubtedly the most fascinating part of any tours to Hungary. Because of its central location in the heart of the country, Budapest has got such a Hungarian specialty, that the country’s main roads all starts from here and their distances are counted from the stone of 0 kilometer in the Adam Clark square. The city has three islands - Óbuda Island, Margaret Island and Csepel Island. Margaret Island is a lovely little island, which is ideal for doing different kind of sports. It is often called the "green loung of the city" and it is certainly true. Margaret island, which lies on the Danube between Margaret Bridge and Árpád Bridge, is one of Budapest's most attractive parks and a popular recreation spot, full of life and activity in the summer, and calm and peaceful in the winter. The territory of parks runs to 4% of the city’s total area. Budapest is also called the City of Spas, because it is richly endowed with natural springs of thermal waters, which supply the city’s many thermal baths. There is no more rejuvenating way to relax than in one of the city's many soothing spas. Budapest possesses 80 mineral and thermal springs, 10 splendid thermal baths, themselves part of the built heritage, and more than 400 bitter water springs. Among its most precious treasures are its sixteenth century Turkish baths, as well as the Széchenyi, the Gellért. Budapest possesses a rich and fascinating history and a vibrant cultural heritage. Its area had been inhabited from the early times and it has got a special character due to the different architectural styles; the signs of the Turkish rule or the Habsburg ages as well. Neoclassical buildings from the 19th century and antique-filled flea markets can be found in the downtown, with winding, narrow, cobblestone streets in the neighborhoods reminding us of the medieval times. The different cultural impacts meet here the distinctive Hungarian flavor, ancient history and recent past come together in the balance to make up the city. Budapest was created out of the unification of the separate historic towns of Buda, Pest and Óbuda. Budapest’s history is revealed in each area of the city. In Buda we find evidence of its political and imperial past, with the Royal Palace and National Gallery, the embodiment of the history of the Hungarian people. Near Óbuda, on the other hand, Roman ruins can be found and those of the first Hungarian dynasty, the Árpáds. Then in Pest we can discover the city contemporary face, its more modern and up-to-date side. The city was unified on 1st January 1873. Nowadays Budapest is a large Middle European City. The romanticism which still pervades it, the endless search for its own identity, its proud sense of isolation and, at the same time, its commitment to the ideal of becoming an integral part of western culture make it a city which can undoubtedly teach us a great deal. The metropolis is home to a population of almost two million people. The higher education institutions in Budapest are visited by nearly 100 thousand students. Around 1000 listed sites are there from the most significant European artistic periods, including some outstanding Classicist and Hungarian Secession buildings. Indeed, the latter can only be seen here in Hungary. Several hundred museums and galleries can be found in the city, which in addition to artefacts of Hungarian history, art, and natural science, also exhibit numerous works of universal European and world culture. 40 theatres, 7 concert halls, and 2 opera houses are provided for those who love the performing arts. The choice multiplies in the summer thanks to the numerous open-air concerts and performances. Budapest gives home to more than a thousand restaurants, cafés, and venues, where the delicacies of Hungarian and international cuisine are accompanied by the finest Hungarian wines. Approximately 35-40 minute visit in the neogothic building of Parliament with guiding. The splendid session-rooms and the wonderful stairhall are worth visiting. During the plenary sessions the visits are cancelled. Visit in the most beautiful theatre building of Hungary, in the neo-renaissance style Palace, designed by Ybl Miklós. Auditorium, stairhall, function rooms and the stage as well. Duration: appr. 40 minutes. The Castle of Buda is the pride of Budapest, symbol of history and condition of Hungarian identity. It is part of World Heritage. The castle District offers the most romantic walks in Budapest: Holy Trinity Square, Matthias Church, Fishermen's Bastion. Most valuable and interesting park of Budapest with the Margaret monastery, Japanese garden, the zoo and lots of sports and leisure time facilities. Mayor sights: Heroes’ square, Vajdahunyad castle, Boating lake, ZOO, Luna/Theme park, Museum of Agriculture. The main sights: Parliament, St. Stephen’s Basilica, Pesti Vigadó, Academy of Sciences, Inner City Parish Church (oldest building on Pest side), Opera House, Danube Promenade (corso). This is a busy district (mainly the fifth district) with dense traffic, hundreds of shops, restaurants and entertainment facilities (theatres, cinemas). The boats start according to schedule from Vigadó Square. It is also possible to rent boats for any kind of programmes, excursions within or outside the city. A trip to Budapest can not be complete without visiting one of the famous 11 thermal baths (Gellért, Széchenyi, Rudas or any other of them). 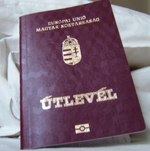 A visa is no longer required for visitors from the EU when travelling to Hungary. There are no longer any ID/passport controls at the EU borders. Citizens of Croatia can enter the country by showing the identity card. Citizens of the US, Canada, Australia, Mexico, Venezuela and New Zealand, are free to enter without a visa. The usual length of stay is 90 days without any additional permit. Electrical current in Hungary is 220 volts/European plugs. The Hungarian currency is the forint (HUF or Ft). Hungarian banks, saving banks and exchange offices are involved in exchange. There is no mandatory minimum amount for currency exchange, rates can vary widely. The best rates are at banks and travel agencies. Additionally, 24-hour exchange machines offer convenience as well as good bank rates. Here you can find the exchange rates: http://www.xe.com/. Banks are usually open between 8:00-16:00 on weekdays. Some banks are open on Saturday, but all are closed on Sunday. ATMs accepting most credit and cash cards are everywhere in Hungary, even in small villages. Credit cards, especially Visa, MasterCard and American Express, are widely accepted in Hungary, and you'll be able to use them at many tourist-related businesses such as hotels, restaurants, stores in the shopping districts, car-rental firms, travel agencies and petrol stations. They are not usually accepted at museums, supermarkets, or train and bus stations. Travellers' cheques can be cashed in banks but are not accepted in shops. Calls from Hungary abroad: dial 00, then the country code, city code (without the „0”) and the local number. Public Phones function with coins or with phone cards which can be bought in hotels, service stations, post offices and news-stands. Shopping centers in Budapest West End: entrance from "Nyugati" metro station, Metro 3 (blue line). The biggest and newest. There are 400 shops and many restaurants in one building. Mammut I-II. : Lövőház street 2-6., near "Moszkva tér" metro station, Metro 2 (red line). Duna Plaza: entrance directly from "Gyöngyösi út" metro station, Metro 3 (blue line). Almost every museums are closed on Mondays. Buses, troley-buses, trams and the underground function in general between 4:30 and 23:00. Tickets can be bought at the bus terminals, metro stations and in news-stands. Authentic Hungarian dishes are definitely not for people on diet. You may find Hungarian dishes a bit too heavy and fatty, however their rich flavour, aroma and texture compensate you for the slightly excessive calory intake. But don’t think that everything is soaking in pork fat and paprika. These ingredients are essential for authentic Hungarian dishes, but properly portioning them and using modern cooking methods we can make healthier dishes. Traditional Hungarian dishes are primarily based on meats, seasonal vegetables, fruits, fresh bread, cheeses and honey. Recipes are based on centuries-old traditions around spicing and preparation methods. Hungarian wines dates back to at least Roman times. The best-known wines are the white dessert wine called Tokaj (North-Eastern region of Hungary) (Tokaji) and the red vines from Villány (Southern part of Hungary). Famous is also the vine called Bull's Blood (Egri Bikavér), a dark, full-bodied red wine. Though not as famous as the country's wines, Hungarian beer has a long history as well. Hungary's most notable liquors are Unicum, a herbal bitters, and Palinka, a range of fruit brandies.